Some burnt out bulbs in the panel. Left Heated Seat switches for example. Saab Badges faded. Common issue. Not sure where to get proper GOOD ones. Someone backed into him in a parking lot. Rear hatch pushed in a bit. Hatch still opens fine. Lights work. System shows front light failure. Clutch seems to slip in third gear. The rest of the gears she seems fine. He may be including one badge of his other 9-5 Aero Wagon, and the metal Cage Divider for the cargo area from his other car. Last edited by xchox; 11-28-2016 at 07:11 PM. Fun fact: the night panel is supposed to dim everything but the speedo, to make it more like a fighter jet lol. Check out the top gear piece when jezza drove one. A very mint car nonetheless, looking forward to seeing what is in store! 1997 BMW 740iL Arctic Silver Metallic, Decatted - "Silver Bullet"
SHE AIN'T PRETTY, BUT SHE'S FAST. (FOR A STREET CAR ANYWAY). slips in 3rd but not 4th? Classy ride Chox, it looks pretty sharp cleaned up with the updated front bumper and smoked tails. Nice pick up! Yeah. Only gear. If you skip third its like nothings wrong at all. You would think trans since its only in third and not all gears. But it feels like the clutch. RPMs climb at a faster non proportionate rate to speed. It feels like a combination of clutch slip and power loss. Its too early for me. Hope all that made sense lol. 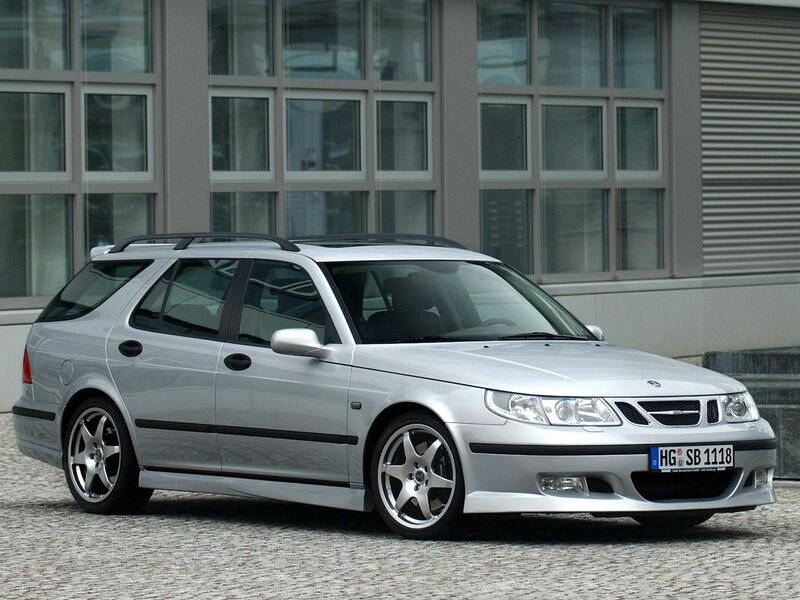 All things considered... Not bad for $500.00 especially considering how rare a standard aero wagon is... Especially in this shape.